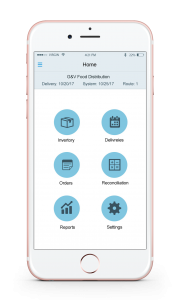 PHOENIX – March 28, 2017 – AFS Technologies, a leading global provider of software solutions purpose-built for consumer goods companies, announces that its Direct Store Delivery (DSD) application is newly available for iOS®. The application is already available for Android, so the addition of iOS compatibility means that DSD users may implement a “Bring Your Own Device” policy, allowing employees to use their own personal devices instead of juggling both a corporate phone and a personal phone. 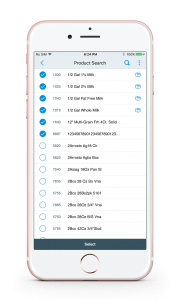 As with its sister product for Android, AFS DSD 1.0 for iOS requires little training, and it enables drivers to save more than two hours a day on their routes, thereby making time for more customer visits each day. And GPS tracking of the driver’s location allows the system to automatically notify customers if traffic jams or accidents cause the driver to run late. The app also improves driver safety – requiring Breathalyzer tests to be passed before the application activates and the delivery truck can start; disabling the app when the vehicle is in motion; alerting drivers if they exceed the speed limit; recording drivers’ work hours and notifying managers automatically if a driver surpasses the daily limit of driving hours. 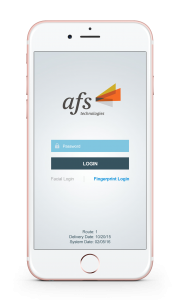 AFS DSD 1.0 for iOS is just one component of the AFS Delivery Execution Solutions suite, which includes DSD Office, DSD Mobile, Electronic Proof of Delivery (ePoD), Distributor Management System (DMS), Home Delivery, Web Ordering, and Client Portal. AFS Technologies (AFS) is the leading provider of software solutions purpose-built for consumer goods companies. We are committed to generating improved outcomes at the point of purchase coupled with generating efficiencies in trade spend, retail execution and supply chain. With experience developed over its 30-year history, AFS serves more than 1,000 customers of all sizes in more than 50 countries around the world. AFS products are innovative, configurable solutions that are proven to optimize your potential with automated processes, improved productivity and rapid time to value.